Prestige Padded Medical Bag is specifically designed to hold medical instruments which is fully lined with water-resistant nylon and protective padding. It features multiple inner pockets and zippered compartments to enable easy storing and securing of instruments. 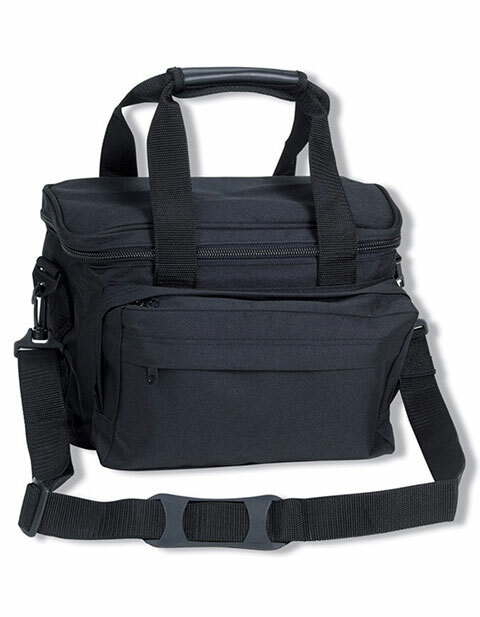 Other features include two exterior compartments, an adjustable shoulder strap and a heavy duty handle. Dim: 11x9x5 inches. It is available in black color only.